False Ceiling Designs for your home decor Interior Designers in Delhi Rated 4.3 / 5 based on 211 customer reviews. What is false ceiling ? A false ceiling is a ceiling made beneath the main ceiling of the room or building. In other words, it is a second layer of roof suspended from the main roof with the help of metal or wooden frame. It is also known as dropped ceiling. The false ceiling is fixed at a minimum distance of 8 inches from the main ceiling. conceals the ugly mesh of electrical wires, light fixtures, air-conditioning ducts and other fixtures. Why to install a false ceiling ? 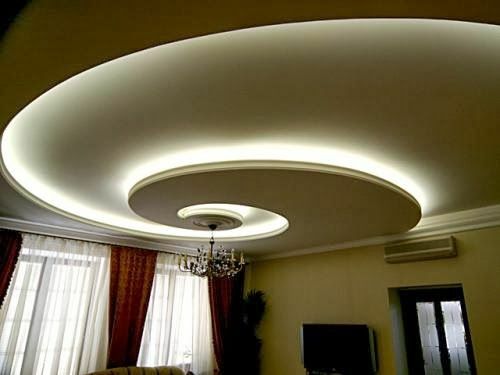 Plaster of Paris is smooth and suits for all types of lighting arrangements. It can be molded into any type of designs and shapes. There are preferred for ornamental design and light works. It is suspended in the framework of aluminium T-sections. Its only disadvantage is that it is not much durable and its colour fades away with time.PVC false ceiling is attractive, durable and water resistant. Since it is made from PVC material hence its maintenance cost is almost zero. The top interior designs are wooden accents in false ceilings. Classy and elegant, these can be executed in a number of interesting ways and will add a whole new dimension to your spaces. Wood paired with warm metal accents. Stylish pendant light fixtures attached to the wooden false ceiling highlight the dining area.LED lights embedded in the wooden false ceiling cast a soft glow in this bedroom, creating a mellow and restful mood perfect for nighttime.Faux wooden beams add a note of refinement to your interiors. Made of 0.5 mm thick precoated steel or aluminium. avialable in different size and color. Aviailable ceilings in precoated metal are 150 f, 84 c , 600 in to 900 mm. Gyptone acoustic ceilings contribute to aesthetics, good acoustics and good indoor climates. They are a combination of design and technical performance. 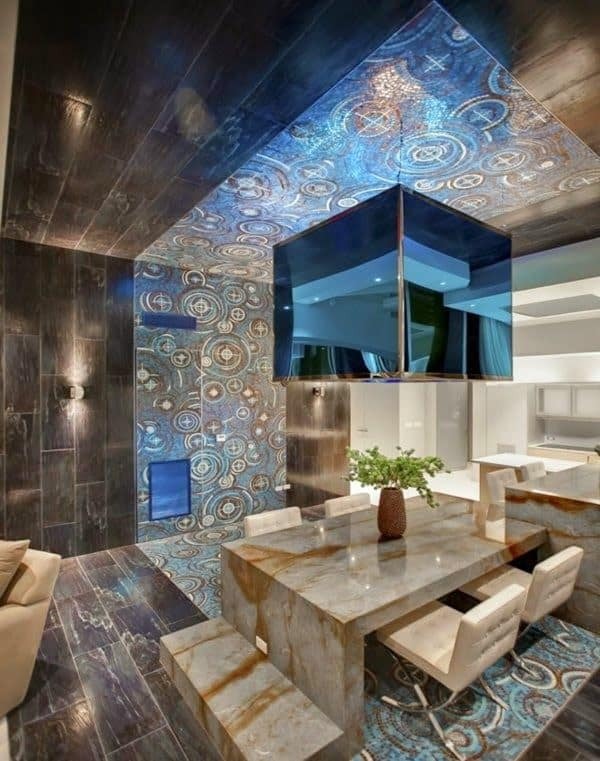 Gyptone ceiling range gives a multitude of interior design options, which are both visual and acoustically striking. Gyptone acoustic ceilings have wear-resistant and easy to maintain surfaces, which result in a long lifetime and low maintenance costs. These ceilings are made out of natural materials and do not contain environmentally dangerous substances. Gyptone ceilings provide an outstanding sound absorption ranging from 0.8 to 0.85 and eye-catching aesthetics. The perforations are comprised of different hole patterns which enhance the aesthetic character of the room décor. The Gyptone BIG acoustic ceilings allow you to create large ceiling surfaces without visible joints.